vintage wallpaper....love! — Pencil & Paper Co. 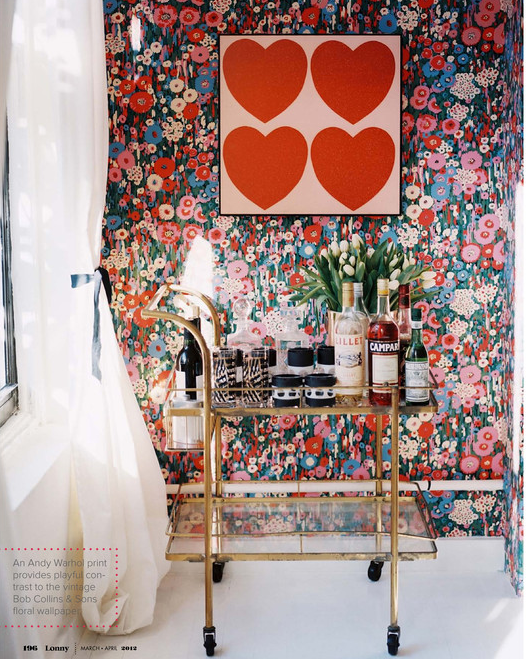 I adore this vintage wallpaper (and darling "heart" print) spotted in the new lonny!